Bicycling through the streets of San Francisco is a great treat due to the city’s unique landscape and breathtaking views. For those who work in the city, bicycling provides a fast and efficient means of transportation in a small, but busy and dense city. Visitors have the opportunity to explore the city on rented bikes along the Marina district or through Golden Gate Park, among many other areas. Although biking can be fun and a good alternative for travel throughout the city, it can also be a dangerous activity if bicyclists do not properly adhere to the rules of the road. A little over a week ago, Chris Bucchere, a San Francisco native, was riding his bike through the Castro district near the particularly busy intersection of Market and Castro, early in the morning. Shortly after 8 a.m., Bucchere collided with 71-year-old man Sutchi Hui, who was walking east in the crosswalk. Bucchere is reported to have lost consciousness from the collision but regained it after several minutes. Both were brought to the hospital where Hui died. This will not be the first case of fatality due of a bicycle collision with a pedestrian in the city. Just last month, Randolph Ang pleaded guilty to vehicular manslaughter after running a red light and colliding with at 68-year-old-woman lasy July, who died at a hospital. Following that accident, city officials vowed to hold errant cyclists accountable and to promote safer travel by everyone – pedestrians, bicyclists, and drivers alike. In the year 2011, 29 incidents were reported where bikers hit pedestrians, resulting in two deaths – one cyclist, one pedestrian. In these 29 cases, 10 of them were the fault of pedestrians. The other 19 were due to bike riders’ failure to yield, speeding, and/or running red lights. All users of the road are required to adhere to traffic laws. 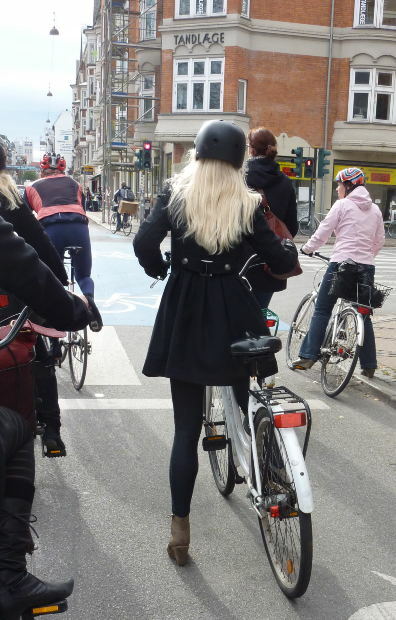 Cyclists have a responsibility to follow these rules of the road to ensure not only the safety of pedestrians and drivers, but themselves as well. Failure to follow these laws can cause devastating consequences as in the cases of Ang and Bucchere. The costs of a bicycle-vehicle collision often are greater than the physical damage to a bicycle. Bodily harm, including broken bones, emotional damages, and head injuries are often suffered. Not only can medical bills add up, time is lost because of hospital visits and follow ups. Our San Francisco based attorney can help you if you have been injured by a biker who was negligent in following safety laws. Gregory Brod, a member and supporter of both the San Francisco and Marin County Bicycle Coalition, has successfully represented numerous individuals who have been involved in bicycle accidents and can help you. Our firm is dedicated to helping those injured recover costs incurred including medical costs, wage loss, property damage, and pain and suffering. Please call for a free consultation today.